Why waste time opening mail by hand? Maximize productivity and distribute incoming mail faster throughout your organization with the Formax FD 452 Envelope Opener. The FD 452 is quick to set up and simple to use. Load mail, press start and that’s it! The innovative cutting mechanism slits one side of the envelope so the contents are left undamaged, with no messy paper scraps to clean up. 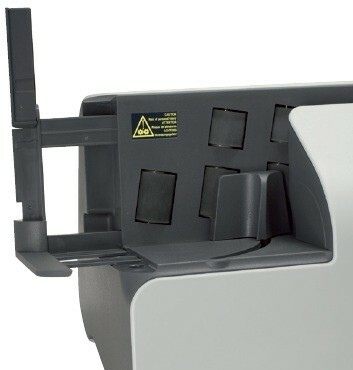 Users can then safely extract envelope contents without the risk of sharp edges. Using the FD 452, you can open a variety of envelope sizes at once, from #10 to flats, without pre-sorting. 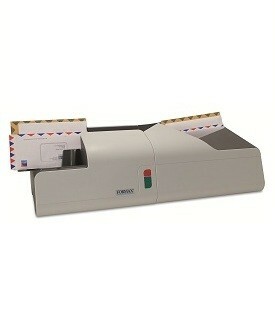 A unique Push Arm provides constant pressure to feed mixed sized envelopes quickly and accurately. With a speed of up to 300 envelopes per minute and a catch tray capacity of up to 80 #10 envelopes, your mail will be ready in no time. Compact design for any environment.